The Black Gondola Unit has fully customizable shelf heights that can adjust to fit almost any product or display. These fashionable black display merchandisers are attractive without sacrificing shelf space or strength. Show off any size merchandise with this unit and drastically increase shelf presence for your products. Customers appreciate the depth of the sides and end panels this unit offers. 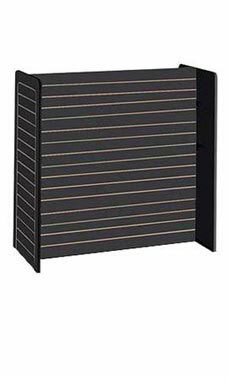 The Black Gondola Unit measures 24"W x 48"L x 48"H. They are in stock and available for shipment immediately!